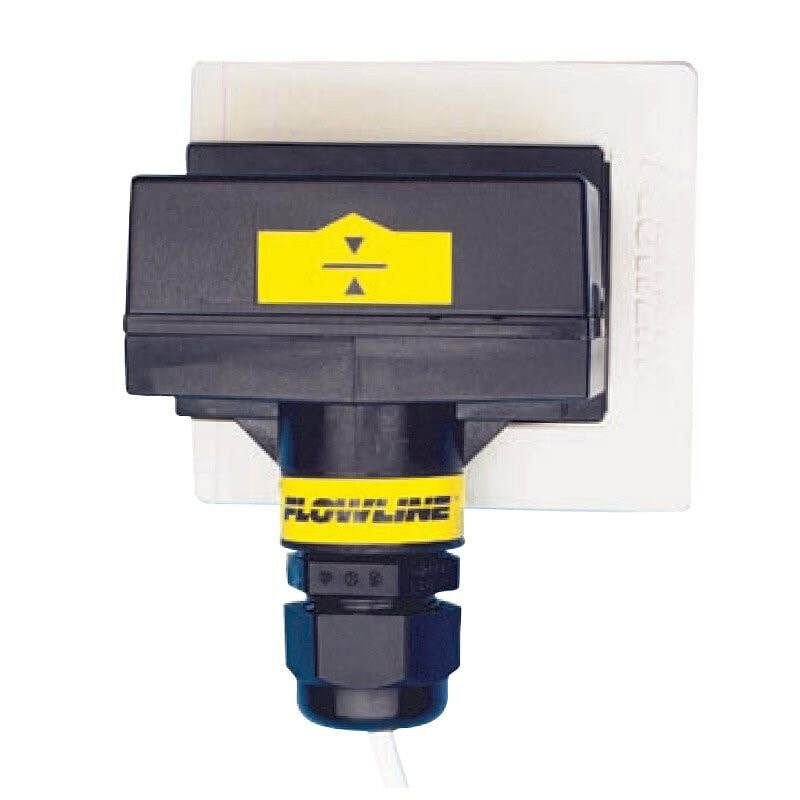 The Flowline non-intrusive capacitance level switch for detecting liquid levels through non-metallic tank walls with a relay for PLC, SCADA or alarm interface. The general purpose Switch Tek LP50 level switch is a great choice for highly corrosive or ultra-pure, aqueous based liquids with non-coating and/or scaling characteristics. The 1A relay provides a reliable switch interface with remote devices such as a PLC, SCADA or alarm. The sensor is bracket mounted on the exterior wall of non-metallic tanks. The Flowline Switch Tek has two easy calibration adjustments, the non-intrusive switch set point is customized to the users tank wall thickness and application media. This Switch Tek is suitable for de-ionised water and hydrochloric acid applications. If your organisation requires five or more units, please contact our team of experts for a quotation.